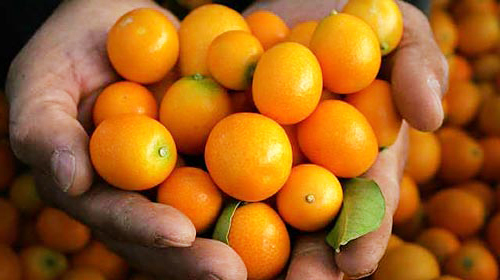 Remarks: Kumquats are becoming popular as more supermarkets introduce this delectable fruit to their shoppers. Yes... you eat the peel too! The peel is sweet, while the flesh is full of seeds, tart and sour. Your first taste of kumquat may shock your taste buds, I suggest sampling two before deciding whether this fruit is for you. Kumquats have a wonderful aroma that will attract shopper's curiosity; remember to offer samples to increase sales. 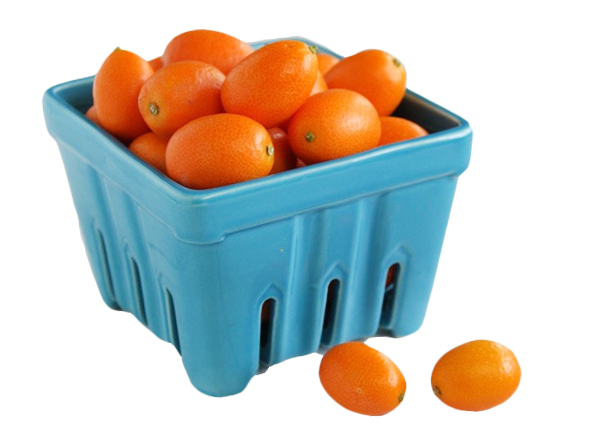 Displaying: Kumquats are best marketed in one pint baskets or clamshells. Keeps displays small or dummied to keep shrink manageable and in check. 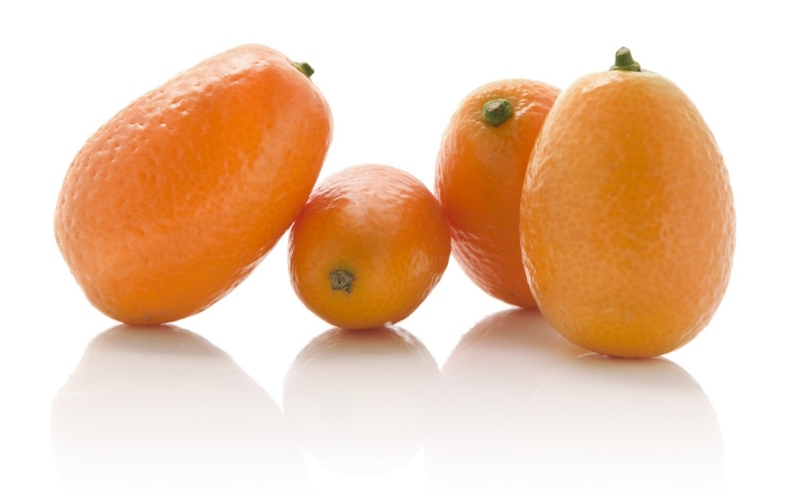 Kumquats will begin to break down at room temperature if they are not rotated at least a couple of times daily. 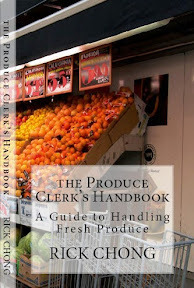 Better to display in a refrigerated counter if that option is available. Remember that condensation will eventually build up in the clamshell, proper rotation should still be implemented. Quantity pricing will also increase sales. Pull down table displays at close and refrigerate. 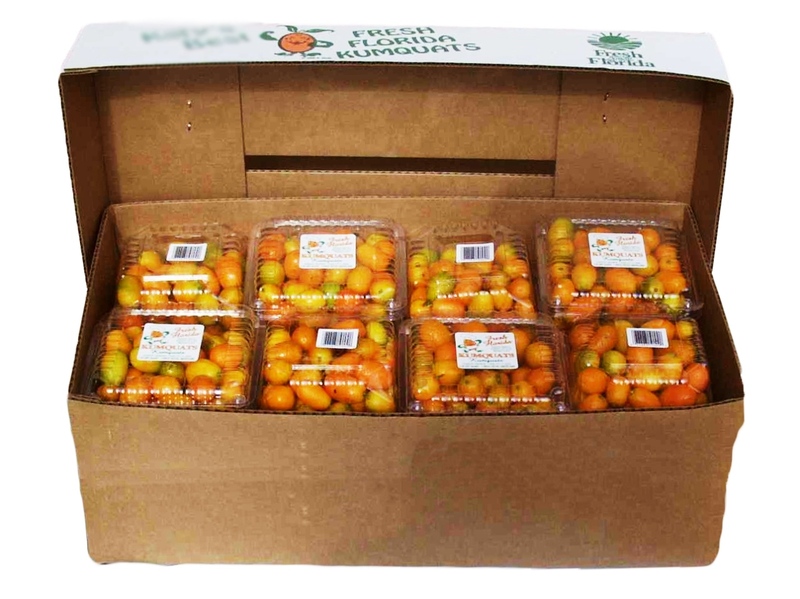 Receiving: The major source of kumquats sold today are grown and packed in China. Product can usually be purchased very inexpensively (up to 50% less) than most other sources. Fruit is shipped in cardboard boxes or plastic containers similar to lychee nuts. 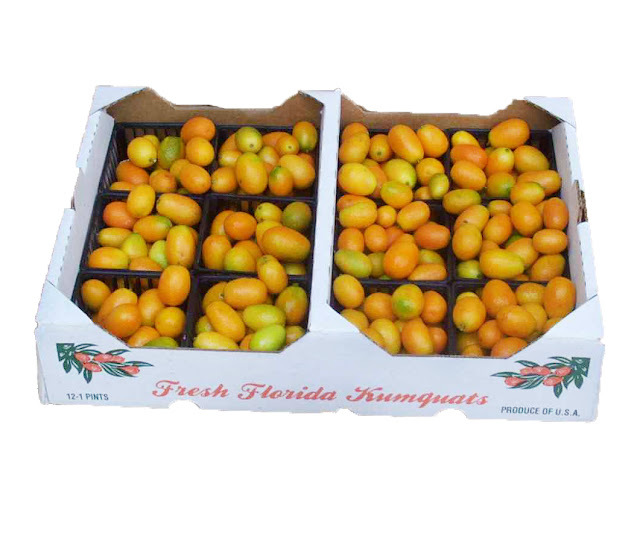 When receiving kumquats the fruit should look clean and be free of defects. The cardboard box should be dry (inspect bottoms too), wet boxes are usually an indication of decay. Inspect for scabs, brown spotting, green mold, dryness and decay. Good quality fruit should be orange in color, a small percentage of green tinge is okay. Sometimes it is difficult to see the onset of decay, scrutinize the peel closely for a transluscent appearance (the first indication that break down has begun). It is not unusual for the boxes to be slightly underweight because of the long ocean voyage to market (up to 30 days). Make allowances and ensure your retail price reflects this. Sample to ensure the fruit is not dried out. Reject ugly fruit and shipments in general with an accumulation of more than 10% defects.